There was a time when smoking cigarettes with simply the right thing to do. In fact, if you did not smoke back in the day, you were not part of the “in” crowd. A lot has changed over the decades and through education and increased awareness almost everyone today knows the dangers associated with smoking. The indictment against smoking has a wealth of supporting data, evidence and proof that makes it clear that smoking cigarettes is a dangerous and dirty habit that should be avoided. With countless lives lost and countless lives forever changed due to permanent physical injury, cigarette smoking has been relegated to the garbage heap of nasty habits. 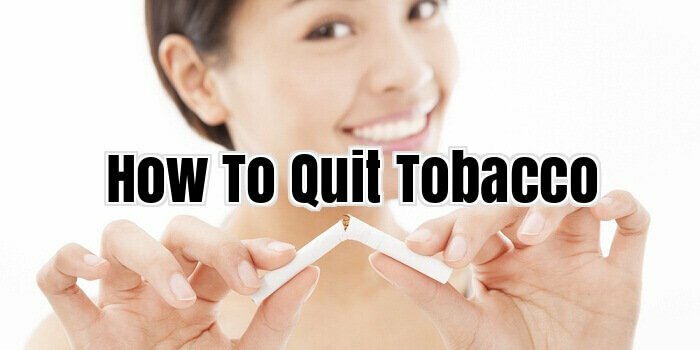 The good news is that there are a number of smart and effective ways to quit smoking permanently. With millions of people having successfully quit the habit, there is a growing trend to find a method that works best in this regard. One major challenge for many has always been in being able to quit to only returning back to smoking at a later time. Achieving success with regard to “permanently” quitting the tobacco habit can be accomplished in a number of ways. Of course, cold turkey is always an option but is reserved for only those with the strongest of constitutions. Surprisingly, a great majority of those that have quit smoking have taken the plunge in terms of quitting cold turkey. Other common methods for quitting the habit include hypnosis, a method that enjoys a relatively good success rate. Group support is a great way to kick the smoking habit through the support of other people in a similar situation. In addition, there are many pharmaceutical drugs on the market today that all claims to help smokers effectively abandon the smoking habit. While some of these pharmaceuticals may indeed work as advertised there is always the risk of side effects. Most medical experts would agree that virtually every pharmaceutical drug has some type of minor or major side effect that must be considered. With that said, many people choose this option as an alternative to losing a lung losing their life. Another common method of abandoning cigarette smoking is to use nicotine replacement strategies. This includes the famous nicotine patch that is widely available as well as nicotine gum products. These products all serve the same purpose and that is to replace nicotine in the bloodstream without necessity of inhaling harmful smoke into the lungs. These methods are all considered to be nicotine replacement therapy or NRT. Perhaps one of the most up-and-coming methods of nicotine replacement therapy is something known as e-Cigs or vapour producing products and devices. What makes this type of smoking cessation therapy so effective is that smokers can continue to go through the motions of smoking a cigarette without actually doing so. The e-cigarette is unique in that it allows the smoker to transition from tobacco cigarettes to vamping. It is also unique in that various levels of nicotine can be chosen as a way to slowly taper away from nicotine altogether. E-cigarettes come in a wide range of flavours and typically use a small battery to generate a generous amount of vapour creating a unique and enjoyable experience. As one of the newest and possibly most effective ways to replace nicotine associated with cigarettes, e-Cigs are helping people across the country and around the world to permanently kick the tobacco habit. In fact, based on yearly gross sales volume alone, it is clear to see that there is a growing trend with regard to those choosing vapour as a way to effectively improve health by tapering off of tobacco cigarettes for good. The statistics on the dangers of tobacco have been around long enough to create some very convincing conclusions based on fact derived from years of studies. Tobacco is a plant that is grown as a cash crop and once it is harvested and dried, it is made into cigarettes, cigars, pipe tobacco and chewing tobacco. The substance is highly addictive because it contains nicotine and is highly corrosive to the human body because of the chemicals that are derived when tobacco smoke is inhaled. The use of tobacco products greatly enhance and cause heart disease, strokes, COPD (Chronic Obstructive Pulmonary Disease-which includes chronic bronchitis and emphysema), cancer of the mouth and throat, lung cancer, and cancer of the pancreas. It also is one of the main factors in vascular disease and high blood pressure. These are all of the most critical diseases that cause a great degree of disability and early death. These effects from smoking and using tobacco depend upon the number of years the tobacco is used and the frequencies that it is used, but the fact that it is addictive, make these results all the more devastating. If a person starts early in life, the effects occur when the person is that much younger. Tobacco smoke contains products that are paralytic carcinogenic agents that actually bind to a person’s DNA, which causes mutations on the genetic level. There are 45 chemical carcinogens that are present in the smoke of cigarettes. Studies have shown that relatives of smokers who live in the environment of the smoker are just as susceptible to the diseases that affect actual smokers. Steady tobacco use over a period of years will most commonly lead to heart related diseases that affect the heart and lungs and will affect the hands and the feet first with feelings of numbness and tingling. Smokers feel that there is a chance that they will be affected, but in reality it is a certainty that they will be affected to some degree. Statistics show that about half of the long-term male smokers will most certainly die of a smoking related disease. Lung cancer is the most common disease among smokers in which there is little chance of recovery once it gets a foothold. Before World War II, doctors hardly ever saw a case of lung cancer, but with the rising popularity of smoking during and after the war, lung cancer became an epidemic. The combination of the nicotine, tars from the smoke coats the inner lungs, and the chemicals that emanate from the smoke acts to totally destroy the immune system of the body, leaving little resistance to heart disease and cancer. The mutations with the DNA that occurs may be one of the prime cancer causing instigators. Nicotine itself has been shown to have a weakening effect on muscles in general, and the heart muscle in particular. The long-term effect of the carbon monoxide and cyanide in the smoke of cigarettes is to weaken the alveoli and cause them to lose their elasticity. The alveoli are the primary way that oxygen is transferred from our lungs to our blood. When they go bad we cannot breathe. Once they are destroyed, the effect is permanent and their function cannot be regained. The carbon monoxide in cigarette smoke also reduces the blood’s ability to transport oxygen. Continued smoking over the years simply makes these situations cumulatively worse. Can I Quit Smoking By Chewing Smokeless Tobacco? It’s not just the lighting up and smoking cigarettes that are harmful, tobacco itself is full of toxic chemicals that are detrimental to your health. Harmful Effects Of Smokeless Tobacco Generally, many people are misled and have the misconception that smokeless tobacco is less harmful than normal cigarettes. The fact is that is not the case. Even smokeless tobacco consists of chemicals such as carcinogen, which causes cancer. Other chemicals include nitrosamines, nitrites, nitrates and polycyclic hydrocarbons. Research was done to laboratory animals of which these chemicals were given to these animals, and they contracted cancer, which simply means that consuming these will also cause cancer to humans. Chewing tobacco causes irritation to the delicate mucous membrane of your mouth. Over a period of time, your mouth will start to scar as the cells become chronically inflamed. There could be a possibility that the cells take on unusual shapes with just the naked eye, and eventually will lead to leukoplakia – an oral cancer. Cancer of the throat, oesophagus, and mouth can be caused by chewing smokeless tobacco and may be fatal as well. If there are ever lumps and sores or even white patches in the mouth and gums as a result of chewing tobacco, one should immediately seek medical attention. Smokeless tobacco contains up to some 2,000 over chemicals, which most of them are toxic which can lead to cancer. There are cases of which lips and part of the mouth have to be removed because of cancer. Chewing tobacco also causes mood shift just like cigarettes do. It causes a temporary high and is extremely addictive. Because nicotine is also inserted into your body and brain, you will want to have it more and more. As your body and brains adapts to the currently level of it, you will experience withdrawal symptoms once your body is lack of it. If you are still wondering whether smokeless tobacco is healthier than cigarette smoking. The clear answer is no. Your chances of lung cancer may decrease because smoke does not reach your lungs, but you’re are still consuming thousands of toxic chemicals, not to mention a high chance of contracting mouth cancer. Research has shown that those who consume smokeless tobacco and cigarettes smokers have the same exposure of to nicotine, and its harmful effects of chemicals. Try to make a perfect plan for quitting smoking cigarettes and choose a quitting date. Do consult to your doctor before making one such plan, most doctors recommend you to take an antidepressants medicine for two weeks before quitting. Share your plan to everyone you know and try to tell them that you are going to quit and on what day. This action will make your will power stronger and also encourage you to keep your word. Therefore, it is recommended that you try to gather as much support as you can. Try to convince your spouse or partner or a friend to quit with you, by joining a support group online or find someone in your area. Nobody smokes because they think it’s good for them. Starting this is not a decision made at a rational level. It’s a decision made at an emotional level. However, maintaining a habit is more often than not a subconscious process. For this very reason, quitting smoking is a process which is most easily achieved by using hypnosis, a method that accesses the subconscious directly. Many smokers realize the need to quit smoking. However, they often stop at one question. How to do it? There are many right ways, which help to stop from this. It needs proper planning and right attitude on the part of smoker, who wishes to stop this. You should keep in mind some basic things before they start this treatment. The treatment may take very long time if smokers do not implement right strategies. The key challenges include making a firm decision about quitting this habit, setting a fixed date, following a plan, dealing with withdrawal symptoms, and staying smoke free. Firstly, it’s pointless replacing cigarette smoking with a gum, patch or other source of nicotine. If you are going to deal with the addiction you have to take it with courage and deal with it head on. While some addictions are best handled with a weaning process, cigarettes are not in this category. Secondly, ending this habit is more likely to be successful when you put everything possible in place to succeed. This means a high protein diet, a full breakfast and an exercise regime that is simple, with achievable goals that can be maintained for at least two weeks after smoking ceases. If it happens to be maintained longer, it is even better. Visualizing yourself living tobacco free, seeing yourself without that first cigarette of the day, and seeing yourself enjoying a quiet drink on your deck, free of any tobacco products, is a positive and affirming process. Establishing an expectation of success, and establishing control over all possible conditions that can help achieve your goal bring you closer. Finally, hypnosis assures a motivated approach to end this habit, and remove the original triggers of this habit. This is a must, as stopping you restarting’ smoking is the final challenge, and the one reason most people struggle most with.